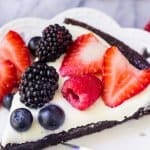 This sugar cookie fruit pizza has a soft & chewy cookie crust, a layer of smooth & tangy cream cheese frosting, and tons of fresh berries. 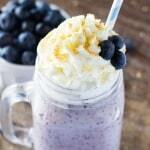 Way easier than making pies or tarts, it’s the perfect dessert for summer. 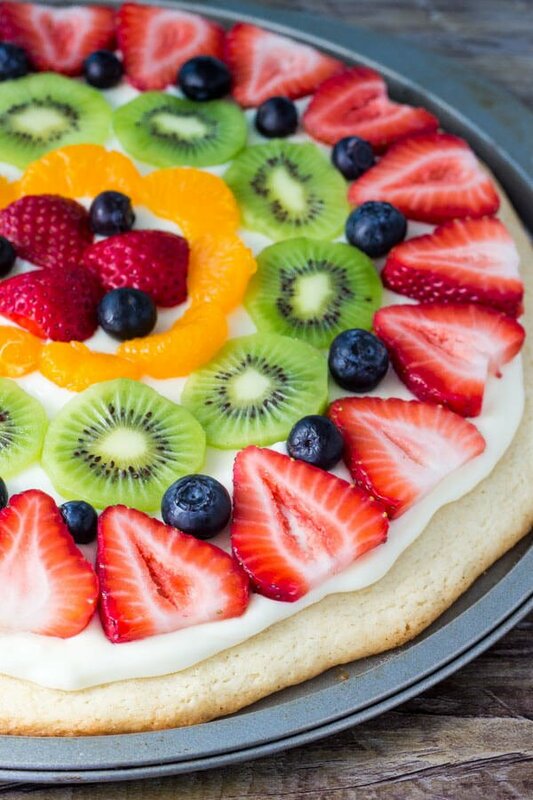 Fruit pizza is such a quintessential summertime treat. And today I’m sharing the recipe for this sugar cookie version over on Oh Sweet Basil. The recipe starts off by making one BIG sugar cookie. 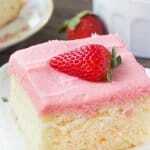 It’s soft and chewy because we’re adding a little cornstarch and cream of tartar to the batter. Then it has that perfect sugar cookie flavor thanks to real vanilla extract, a touch of almond extract and because we’re using real butter. In sugar cookies, it makes all the difference. 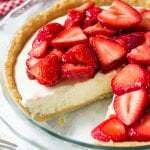 Then the topping is a sweetened cream cheese mixture. And then the pizza is topped with tons of fresh fruit. 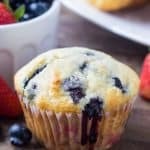 I used strawberries, kiwis, blueberries and a few mandarin orange slices – but you could use whatever combination you prefer. I love how the fresh fruit give such a beautiful pop of color, and make this recipe the perfect centerpiece for your summer table. 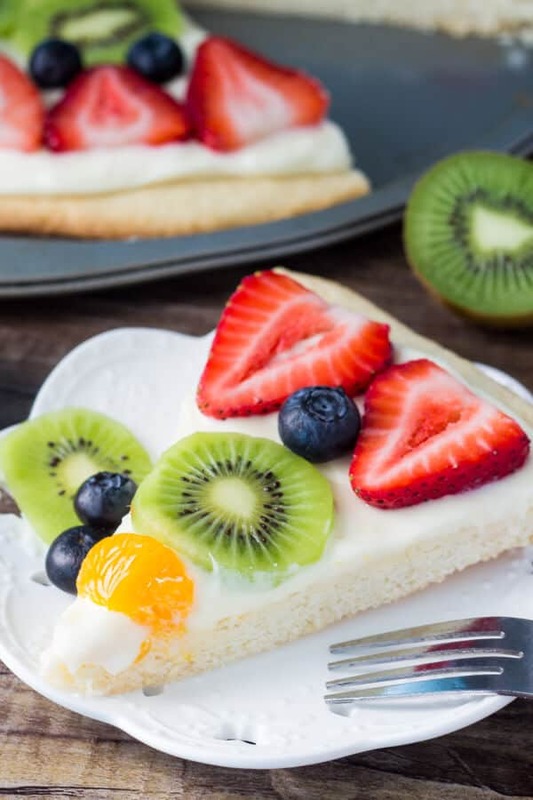 So if you’re looking for the perfect sugar cookie fruit pizza recipe – head on over to Oh Sweet Basil to get the recipe!